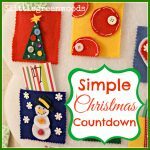 This holiday season we are making our Christmas Countdown Activities more meaningful with simple Random Acts of Kindness. Not only are we taking our grandfather a care package, we will spread the love with easy to make Door Knob Goodies for the other residents of his long-term care facility. It’s been a few months since our family made the decision to move my father-in-law into an assisted living facility. Making the move was a hard choice but we couldn’t be more pleased with his care. He spends his days having coffee and playing Bingo with his new found friends. Spending time with Grandaddy at the holidays is important to us. Our family is planning on taking him a care package on our next visit. We will also deliver small Door Knob Treats for the other residents at the assisted living facility. 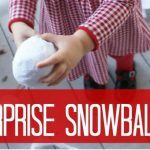 These small random acts of kindness will bring a smile to their faces and cheer to our children’s hearts. 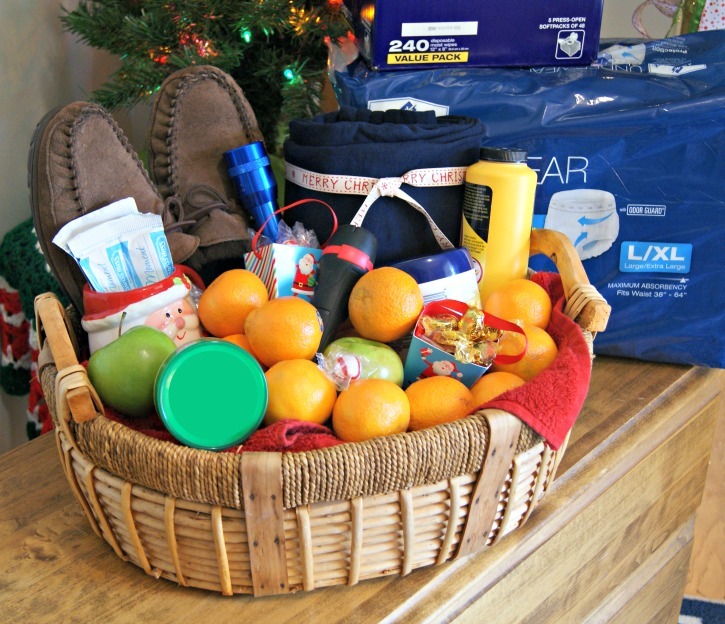 Before the visit we need to gather items for Grandaddy’s care package. Each of us sat down to brainstorm a list of supplies that would be useful and fun. 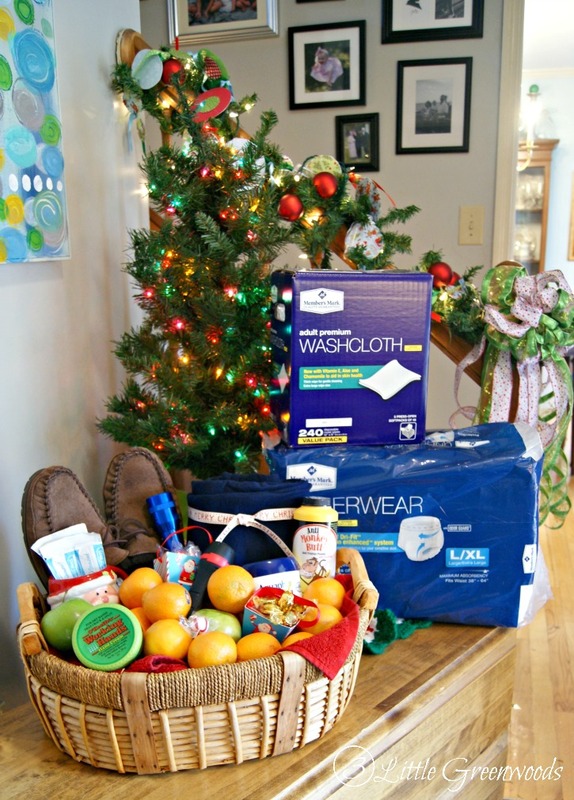 Below is a list of elderly gift basket ideas we came up with. 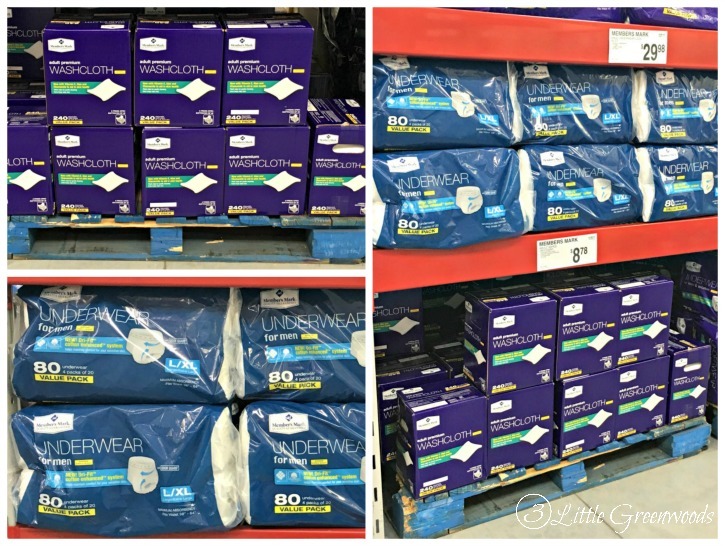 For great deals on elderly care products we go to Sam’s Club. Ever since our children were small, we have been Sam’s Club members. It was a great place to pick up baby supplies. Now we use our membership to purchase premium quality caregiving products. There is even a Caregiving program is called Sam’s Club Family Caregiving available for club members. We really enjoy the other services that are available at Sam’s Club such as the pick up, subscription as well as additional health and wellness services. Now that Grandaddy’s care package is ready, we can start working on the Door Knob Treats for the other residents. 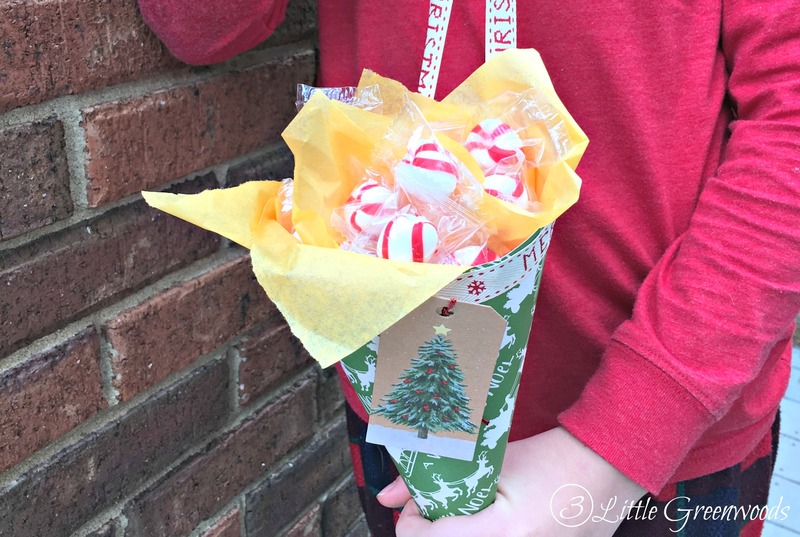 These will be simple paper packages filled with sweet treats. 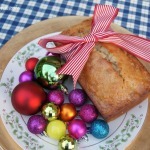 It’s random acts of kindness like these that are guaranteed to put Christmas cheer in their hearts. 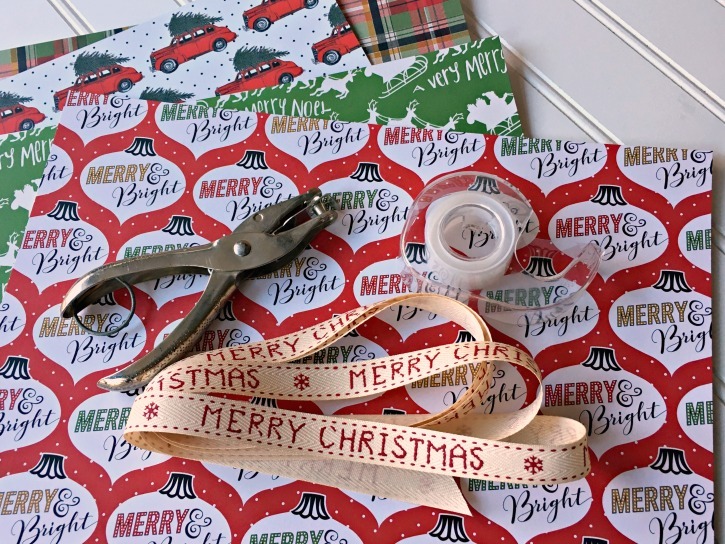 Cut 12″ x 12″ Christmas scrapbook paper into two triangles by cutting the paper from corner to corner. 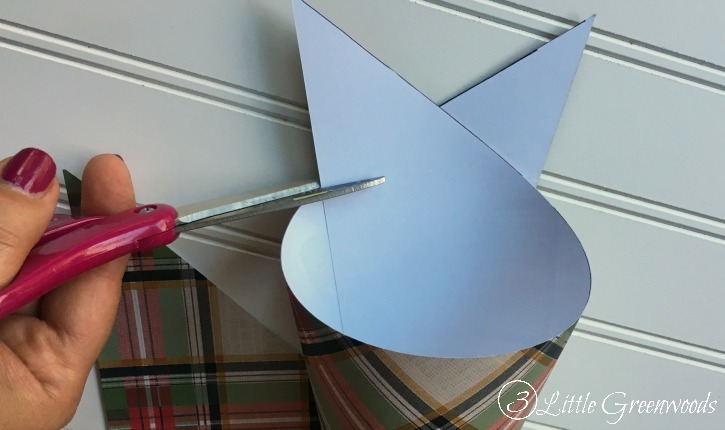 Twist the triangle into a cone shape and secure with invisible tape. 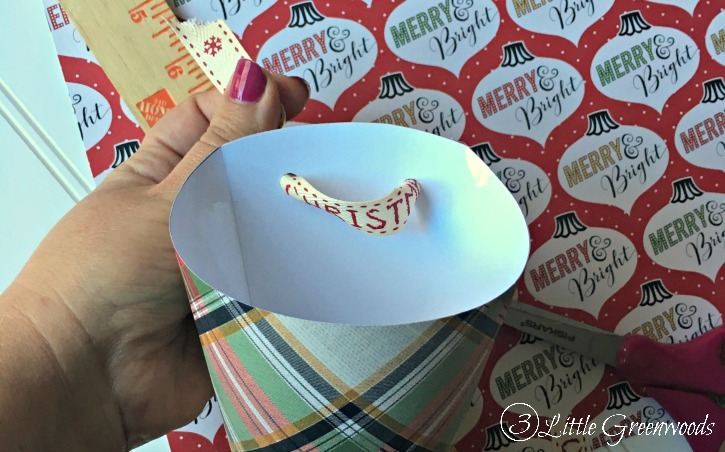 Trim the paper points from the paper cone with scissors. 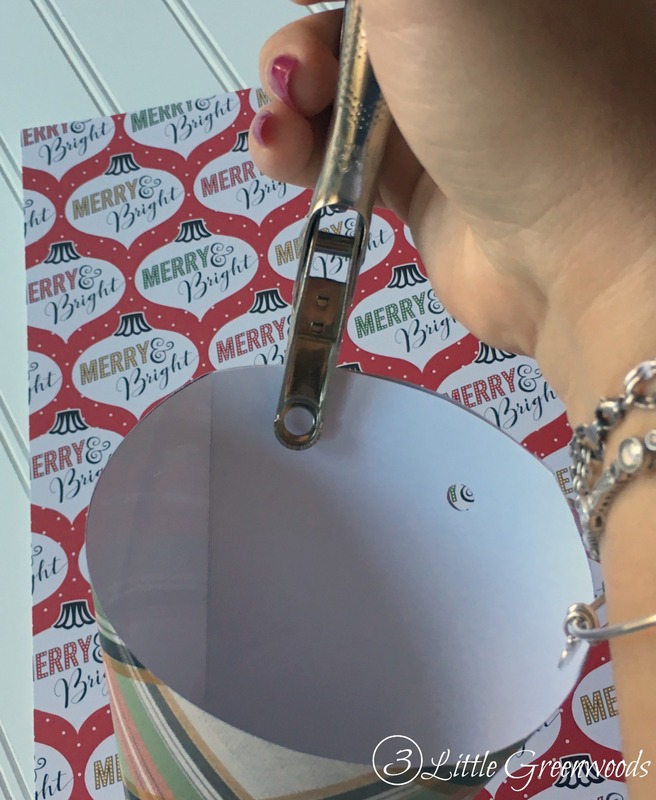 Use a hole punch to make two holes in the back of the cone. See image below to see exactly where I put the holes. 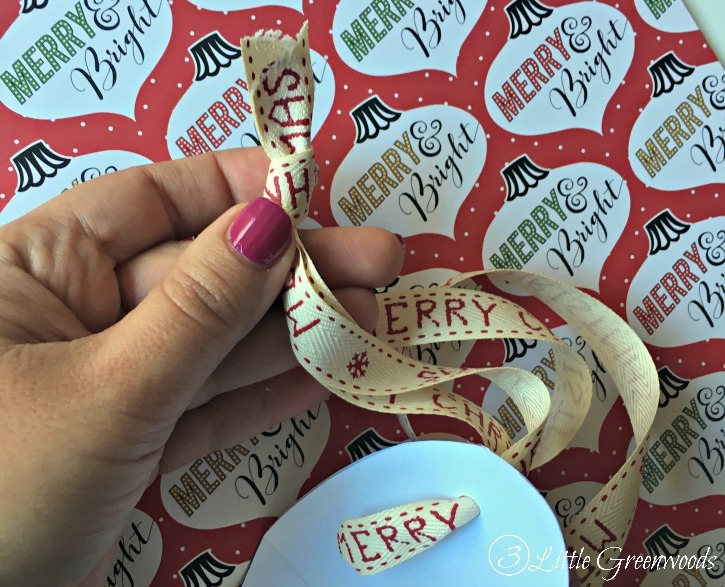 Cut a 20″ length of Christmas ribbon. 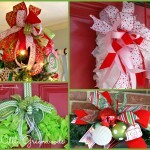 Fold the ribbon over then weave it through both holes. Next knot the ribbon on the top. This will create a loop to hang the Door Knob Treats. 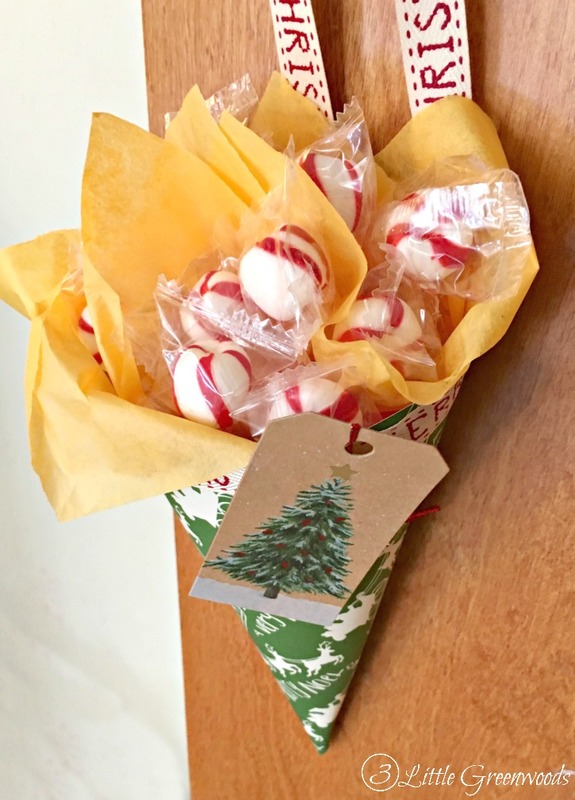 Adding yummy treats to the paper cones will make this simple act of kindness a crowd pleaser at the long term care facility. We choose Grandaddy’s favorite soft peppermints to fill the doorknob treat hangers. After spending time with Grandaddy and dropping off his care package the children will have the most fun hanging the Door Knob Treats up and down the hall. 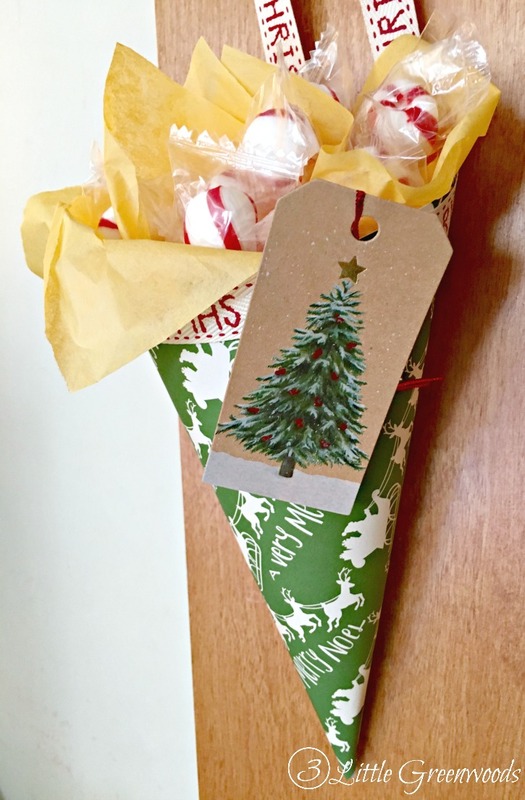 We can’t wait to add these paper cone door knob treats to our list of Christmas Countdown Activities. 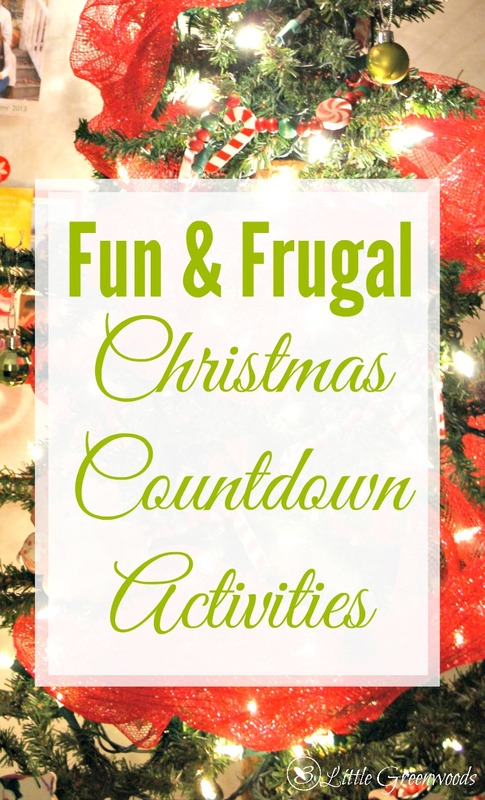 If you are looking for fun and family friendly ideas to celebrate the Christmas season then you will want to check out this list! 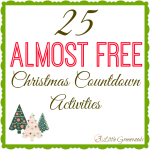 Christmas is coming and we can’t wait to visit with Grandaddy and we are going to spread Christmas joy with simple acts of kindness. 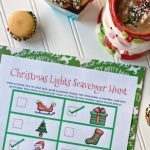 We are always searching for more meaningful Christmas activities so I would love to hear about your random acts of kindness stories. Tell me all about them in the comments below! 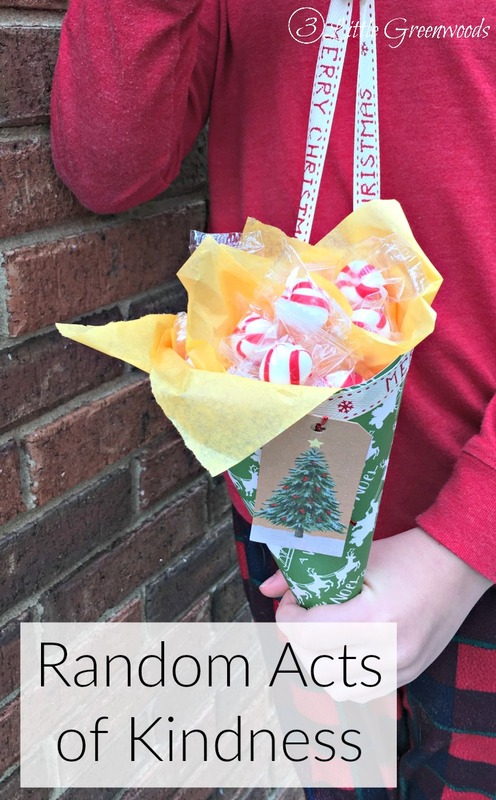 Our family can’t wait to spread some holiday joy with the door knob treats we made! Thanks so much for the comment, Carrie!